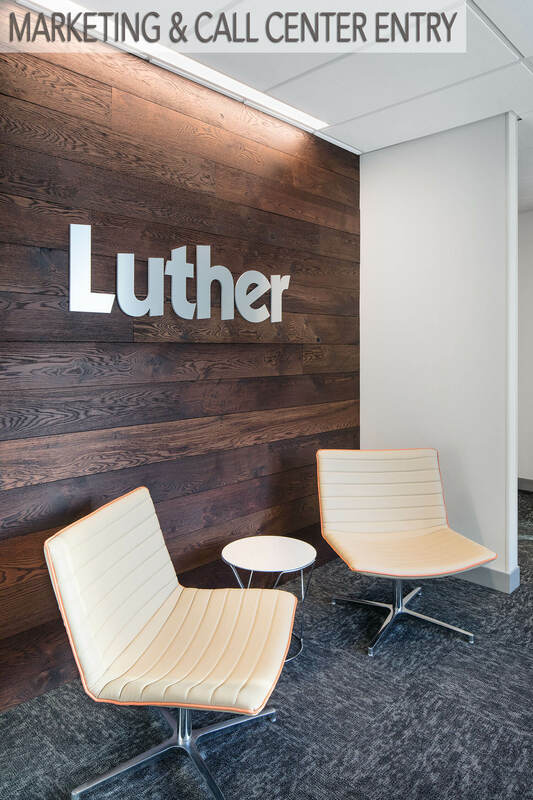 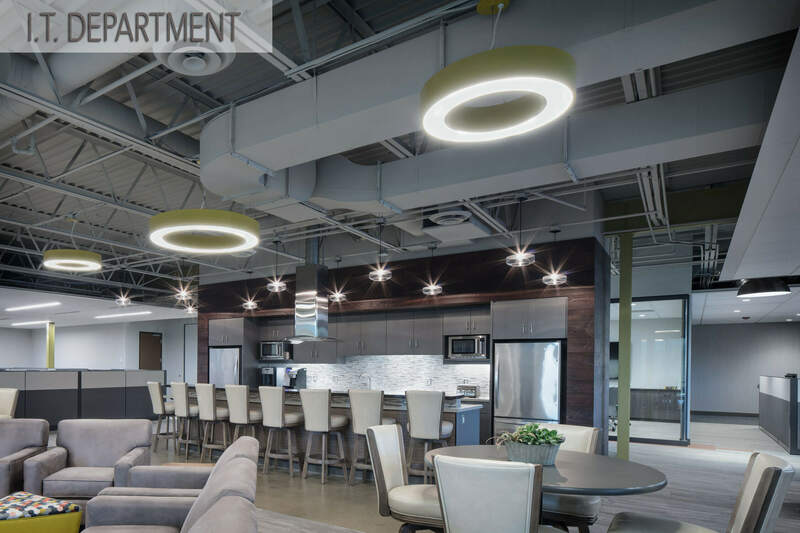 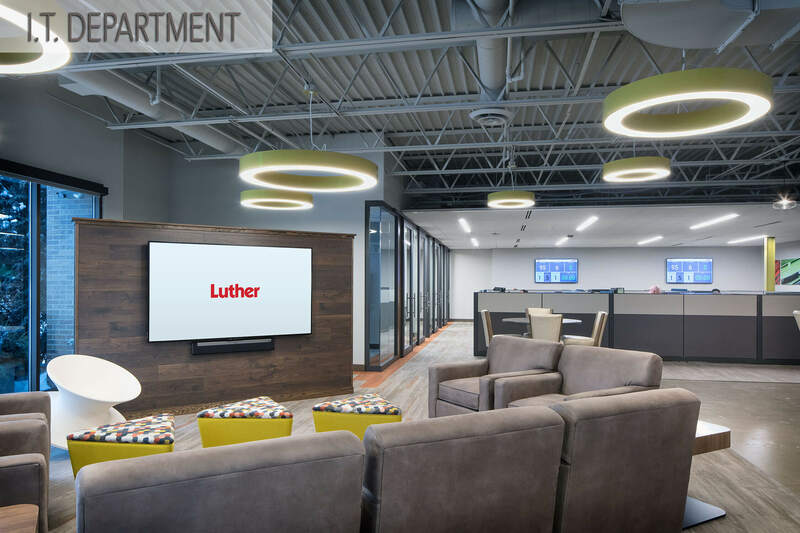 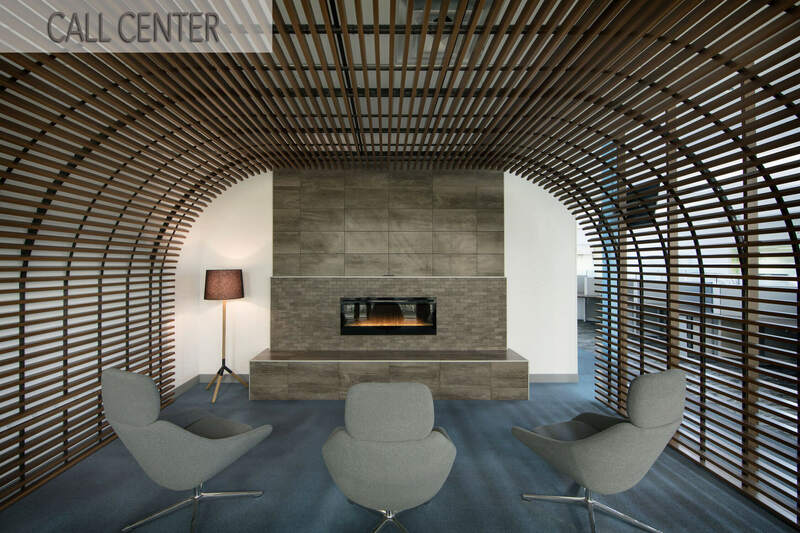 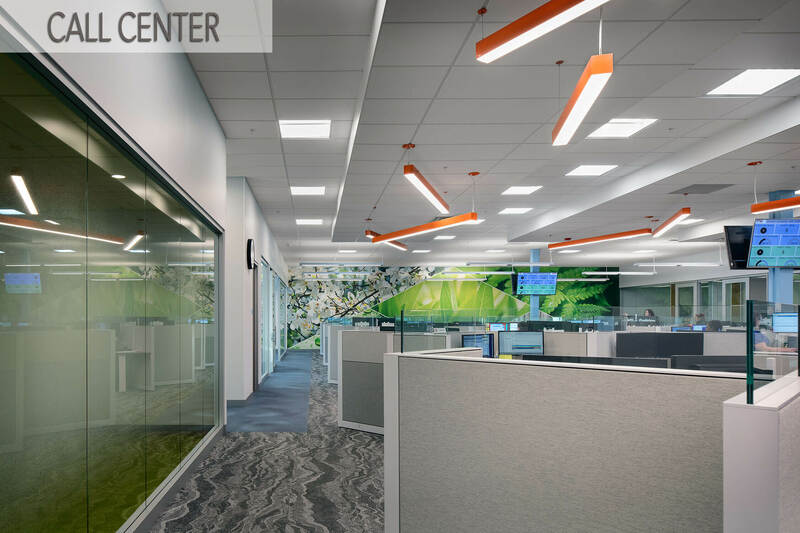 Mohagen Hansen Architecture | Interiors was selected to provide programming, space planning, architecture and interior design services for the consolidation and relocation of the Luther Automotive Group Support Center. 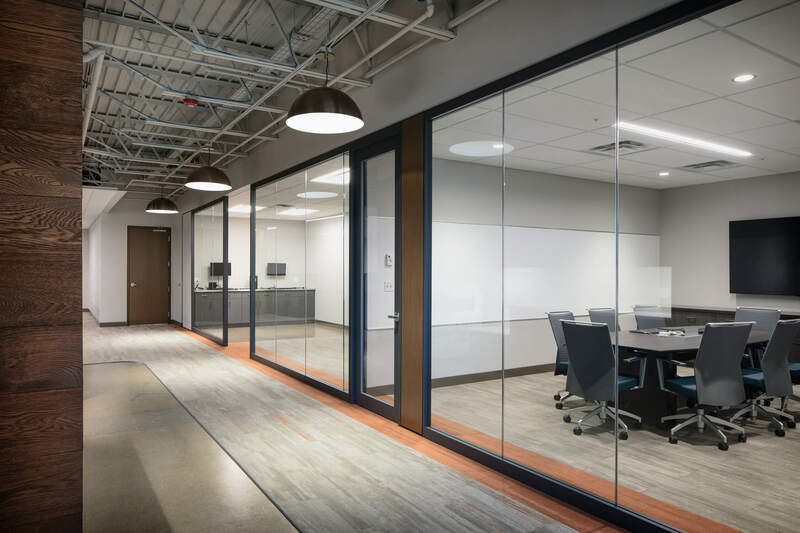 The Luther Automotive Group purchased an existing building in Golden Valley which is largely to be used for additional vehicle storage while also offering a small service center and office space to accommodate the Marketing and IT Departments as well as a Call Center. 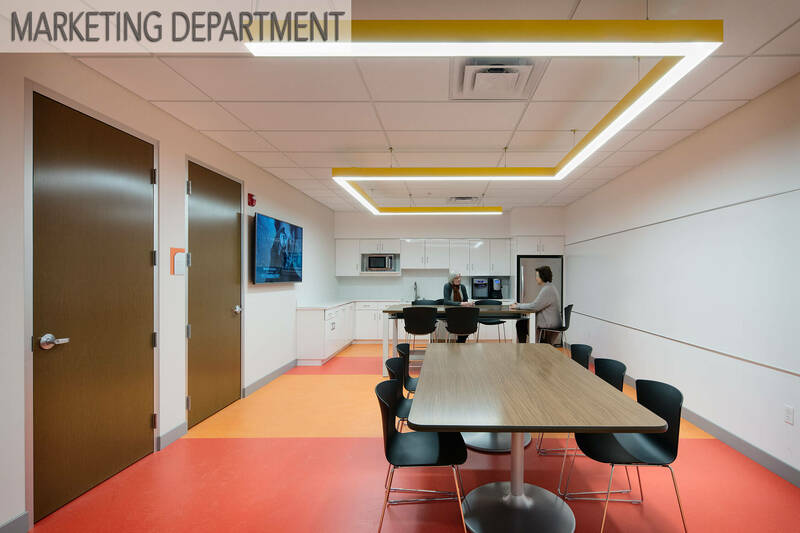 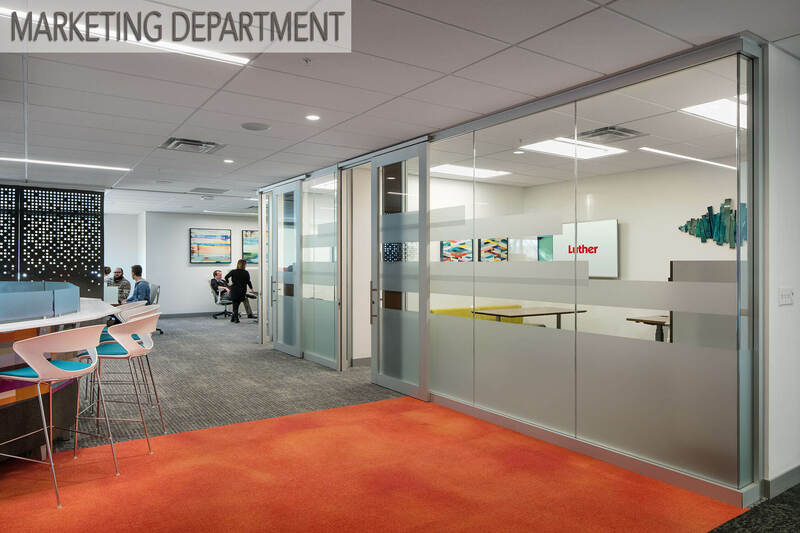 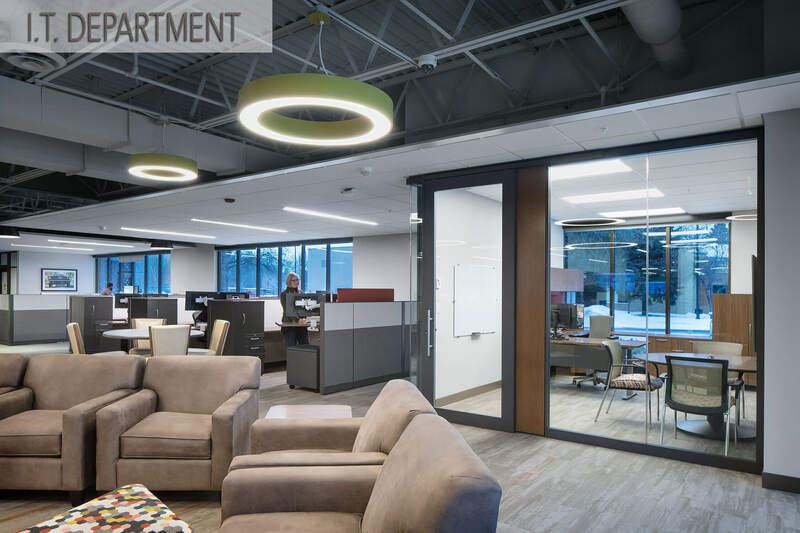 Mohagen Hansen designed the build out of the office space for each of these groups who were treated autonomously and given the opportunity to plan and design their individual spaces to fit the goals and objectives of each. 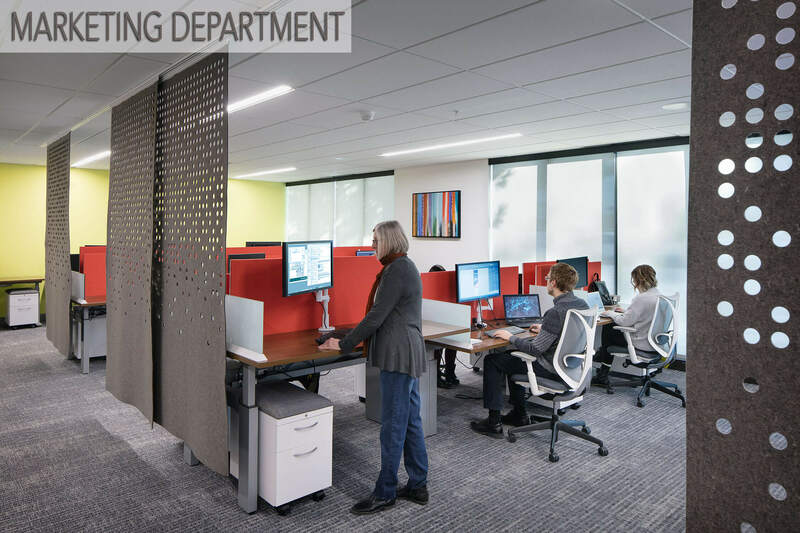 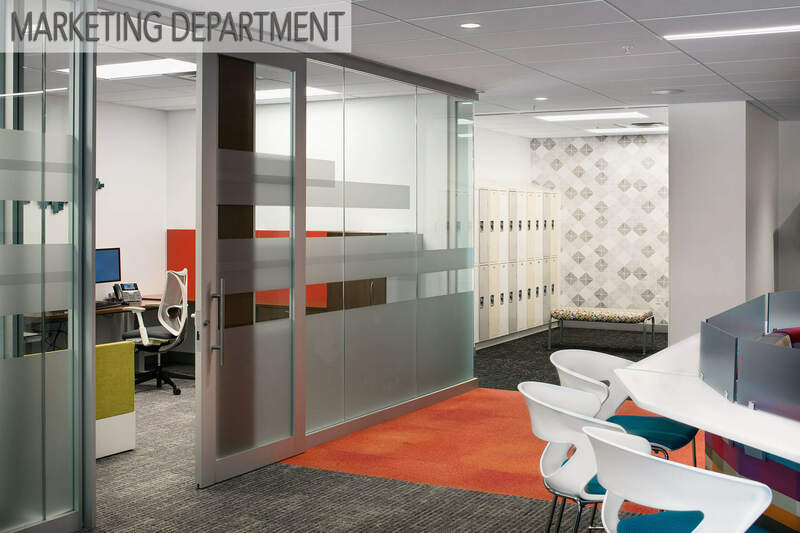 All office areas were designed with sit to stand workstations, hotelling areas, individual locker and break as well as conferencing and collaborative enclaves. 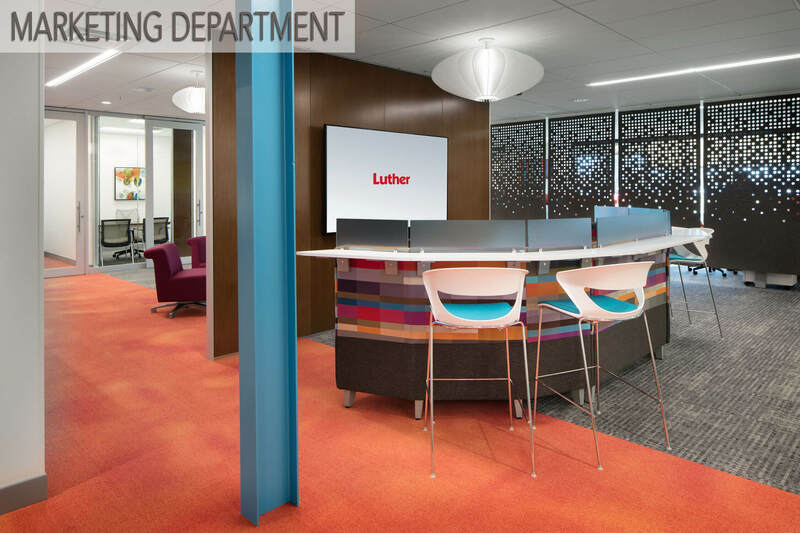 The unique environment is successfully meeting the goals of employee recruitment and retention. The following images show how the objectives of each individual group was met, and how their space was designed specifically to meet their needs.